As the colours change, and temperatures drop, the state of skin is temperamental, agitated and protesting the change. Over the years, I’ve come to a solid conclusion my skin has a mind of its own and I need to adapt it’s care needs accordingly. With fluctuating environments of strong wind chills, to artificially heated offices, cars and homes my skin is almost in an eternally dehydrated and confused state. Whilst it’s predominantly combination skin, with an oily T-zone and drier cheeks, during winter the ‘combination situation’ is exasperated. In addition, let’s not forget to complicate matters worse with a bout of dehydration and breakouts. Now that the problem is sufficiently moaned about, here’s how I adapt my skincare regime. Aim of the game is similar to Asian beauty routines, where a number of thin layers of hydration and nourishment products are slapped on. With this method, the skin remains hydrated and nourished for longer. Cleansers typically I use oils or balms to remove makeup and second cleanse. Well that wouldn’t change for the evenings. However my morning cleanses, will include a lot more nourishing cream cleansers. Some of my faves in this category are, MV Organic Gentle Cream Cleanser, Trilogy Cream Cleanser and, and Good Things Manuka Cleanser. Some mornings where I could get away without cream cleanser, I resort to milk cleansers and a strong fave has always been Institut Esthederm Osmoclean or Bioderma cleansing milks. New on the block is Forest Essentials Deeply Nourishing Cleansing Paste with ground paste of almonds, pistachios, and other lush Ayurvedic ingredients which provide skin gentle exfoliation and nourishment in one step. Smells Delish too! Acid or other forms of exfoliation is driven strictly by my skin need, of how strong of an acid I use and which specific type of acid I use. Milk Peels (the new thing!) – Primary Raw or Dr Jart+ milk peels are gentler on skin OR Pre Lab Toning Peeling tap which is essentially exfoliating with enzymes. “Toning Mist & Amp up with Essences” A regular toning spritz post acid to stabilize the pH level in skin. Some examples could be basic floral hydrosols such as Rose Water by MV Organic, Alteya Organic, Santa Maria Novella, Whamisa Damask Rose, Andalou Naturals, Forest Essentials, Kama Ayurveda, Just Herbs etc. Or Zinc based like La Roche Posay Serozinc. Other toners with a combination of ingredients to hydrate and provide other benefits to skin could include Farmacy Skindew, Patyka Revitalizing Toner, Sjal Mineral Kalla toner, Antipodes, Aesop or Trilogy toners. These toning mists are then followed by serious hydrating or fermented essences to inject and plump the skin. My absolute fave is Whamisa Organic Flowers Deep Rich Toner, and from same brand Refresh and Original are just as wonderful. To name a few others: Decleor HydraFloral Essence Lotion, Blithe Vital Treatment Essences, Earth’s Recipe Energy Boosting Toner, Missha Time Revolution The First Essence Mist, Bio Essence 24 Gold Water, Shiseido Ibuki essence, Rohto Hadalabo Shirojyun or Gokujun. Masks including Sheet Masks Lots of hydration and moisturizing masks, good ol’ sheet masks are fabulous in this category. In saying so, I also throw in one detoxifying or purifying mask, least once a week. I tend to incorporate this everyday if not every second day. Masks are the best way to turbo boost and treat the skin. Serums or Ampoules are used as usual to specifically target the problem of the day/week/month/season. I have a whole separate post on Guide to Serums for all conditions and skins. Moisturisers and Oils are the cornerstone of protecting skin’s barrier and thoroughly nurturing it with lovely oils and ingredients. Some wonders which have stood the test of time with me are; Decleor HydraFloral, Mahogany Naturals Manuka Honey Cream, Whamisa Fermented Water Cream and Nourishing Cream, Bravura London Azulene Cream, Pistache Skincare Hydrating Moisturiser, Missha Misa Geum Sul Emulsion, Yuri Pibu Asiatica, Trilogy Rosapene Night Cream. Here’s a tip if you don’t want to invest in a separate night cream however are quite content with your regular moisturiser, just add few drops of oil to your day cream and use in your night routine. Balms have a special place in my heart and stash! I view them as amplified version of oils, and of course more lush experience as well. Strong fave continues to be Mahalo Rare Indigo Balm, followed by Mahogany Naturals Blue Lover, May Lindstrom The Blue Cocoon, Mahalo Balm, Darphin Purifying balm, Decleor Rose d’Orient balm. In terms of lip balm, there was one and always be the one, Nuxe Reve de Miel. The rich beeswax coats the lips and leaves it matte. In saying so, I have a separate post on Lip Balms which explores other lip products too. Since I complete my evening skincare routine by 5pm, I Re-balm or Re-Oil my skin one more time before bed. Or mist SKII Overnight Essence, which is moisturizing to skin but also leaves a tingly refreshed feel on the skin. Other categories to nourish much drier skins also includes Overnight Masks which can be argued is a richer version of a night cream. How do you plan to amp up your skincare routine for the winter? Water/Aqua/eau, Caprylic/Capric, Triglyceride, Butylene Glycol, Simmondsia Chinensis (Jojoba) Seed oil, Isostearyl Neopentanoate, Squalane, Peg-100 Stearate, Methyl Gluceth-20, Isopropyl Isostearate, Glyceryl Stearate, Cetearyl Alcohol, Polysorbate-60, Peg-40 Stearate, Polyglyceryl-3 Beeswax, Cucumis Sativus (Cucumber) Fruit Extract, Commiphora Mukul Resin Extract (Guggul Gum-resin from Myrrh tree), Hordeum Vulgare (Barley) Extract/Extrait d’Orge, Bambusa Vulgaris (Bamboo) Extract, Pisum Sativum (Pea) Extract, Caffeine, Alteromonas Ferment Extract (gram-negative bacteria found in deep areas of seawater), Prunus Amygdallus Dulcis (Sweet Almond) Seed Extract, Whey Protein/Lactis Prtein/Proteine du Petit-Lait, Micrococcus Lysate (enclosed in a tiny package of fat (called a liposome) that supposedly helps deliver the enzyme deep into the skin), Algae Extract, Xrithmum Maritimum Extract (Samphire/Sea Fennel Extract), Sigesbeckia Orientalis (St Paul’s Wort) Extract, Chlorella Vulgaris Extract, Hydrolysed Rice Protein, Helianthus Annuus (Sunflower) Seedcake, Hydrolyzed Corallina Officials (algae), Ethylhexylglcyerin, Nylon-12, Carbomer, Acrylamide,/Sodium Acryloyldimethyltaurate Copolymer, Propylene Glycol, Dicaprate, Oryzanol, Glycerin, Isohexadecane, Tromethamine, Sorbitan Stearate, Hydrogenated Vegetable Oil, Polysorbate 80, Sodium Hyaluronate , Fragrance (Parfum), Glucosamine HCL (amino sugar), Lecithin, Disodium Edta, Phenoxyethanol, Citronellol, Geraniol, Limonene, Alpha-Isomethyl Ionone, Mica, Titanium Dioxide (CI77891). There are a number of preservatives, emulsifiers in the formulation (as it’s a cream consistency with water in formulation). I would imagine every skin type would benefit from this, however very sensitive skins need to be weary of inclusion of beeswax. Also some skin’s cannot handle Algae and instantly breaks them out, another ingredient to be mindful of. In my case, I don’t have any congestion or sensitivity to report. Hydrolyzed Corallina Officials – commonly knows as Pink Coral Seaweed, this algae extract contains high levels of micronutrients and polysaccharides that help restore hydrarion to the skin. Deepsane – Helps to stimulate renewal and improve skin’s overall condition for a more youthful, smoother appearance. Samphire Extract – known as “retinol of the sea” from the coast of Brittany helps to reduce the appearance of lines and wrinkles. Packaged in a typical Darphin jar with white twist open lid. The texture and consistency is of an unsuspecting cream that not only promises the world but actually delivers it. Now I looked up this application technique video on Youtube, by Darphin Korea, and it is excellent. Couldn’t wait to get my mitts on brush and slap it all over. Applying with the brush does justice to the product, makes it uber relaxing and luxurious. I tried once applying with my finger (scooped some product on back of my hand) but it just didn’t have that instant gratification. Thankfully the brush comes with the product. Considering this product is marketed as a fusion product of a serum and mask, I like to apply this product after an intensive peel (like Dr Dennis Gross Ferulic+Retinol Wrinkle Recovery Peel) or Treatment (like at home microdermabrasion). It’s a rich luxurious product, why not reap its full benefit and make it as decadent as possible. Upon application my skin immediately felt hydrated and soft. The following morning skin appeared visibly firmer and plumper. I even tried/forced this on Man of the House and for him to tell me next morning, his skin feels firm, I was flabbergasted! This is the same man that cleanses his face in shower. The Overnight Facial has been the talk of the town for a while now, and been raved and gushed about a zillion times already. I’m about to add my two cents to the blogosphere . Sarah Chapman claims: The essence of a Skinesis facial in a bottle, this famed multi-award winning skin transforming power potion combines concentrated cosmeceutical actives and exotic essential oils to leave skin plump, dewy and rejuvenated. This night-time elixir recreates the lifting, firming, skin perfecting benefits of a Skinesis facial. 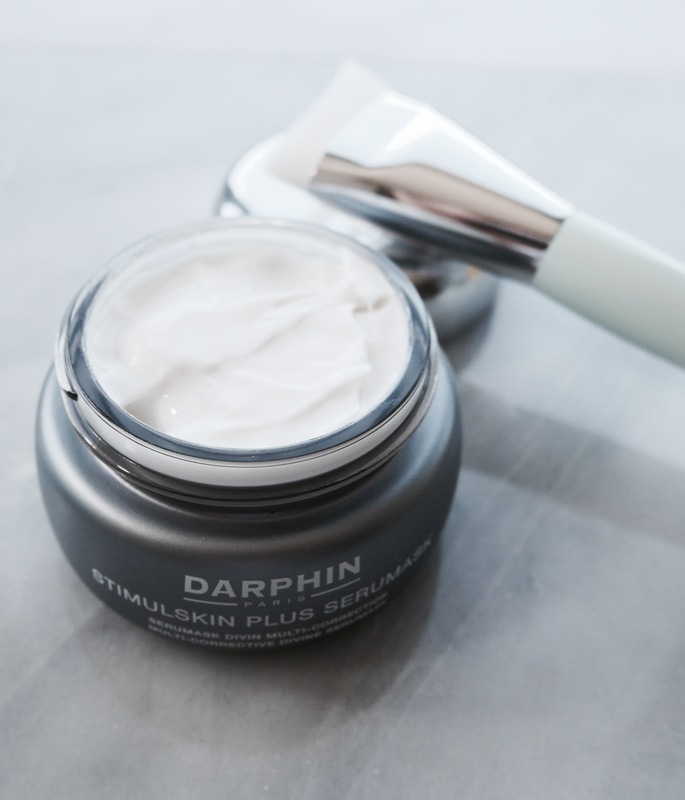 Awaken to plump, smooth, rejuvenated skin with a signature Skinesis glow. The facial elixir also claims to firms, boost collagen production, enhance radiance and prolong cell life while you sleep. Unlike many oils on the market, this formulation not only has a blend of oils but also includes Antioxidants (Coenzyme Q10), Vitamins (A, C, and E), Renovage™, Lipobrite®HCA-4, and Dermaxyl™ Oligopeptide. Hence it would be more appropriate to call this a “Serum Oil”. OK, now you ask what are these Renovage™, Lipobrite®HCA-4, and Dermaxyl™???? Renovage™ is the brand name for trepenone, developed by the French skin care company Sederma. Trepenone is a drug that has been used in Japan to help protect tissues against damage and stress, but there are no published studies regarding its use or efficacy when it comes to skin. Lipobrite®HCA-4 is a skin brightening system, consisting of hydroxycinnamic acid (HCA) in PEG-4 which ensure its bioavailability to the skin. HCA is a potent anti-oxidant and it was shown to exhibit protective effect on cells and biological tissues. Helps with reducing age spots and hyper pigmentation, enhance skin penetration through carrier and improves texture and tone. Dermaxyl™ Oligopeptide a patented oligopeptide and ceramide blend, inspires older cells to communicate like younger cells. When cells communicate more fully, repair cells can focus on areas of skin damage caused by aging processes. The result is enhanced firmness, better moisture retention, and visible easing of deep wrinkles. Clinical studies testing 24 female subjects aged 42 to 66 with a once daily application of 2% Dermaxyl™ for 56 days showed up to 36% reduction in visible wrinkle volume while wrinkle depth lessened up to 27%.” Dermaxyl™ for 56 days showed up to 36% reduction in visible wrinkle volume while wrinkle depth lessened up to 27%. The Carrier oil blend includes Jojoba, Abyssinian, Meadowfoam, Hemp, Melon, Baobab and Hemp seed oils which are all rich in anti-inflammatory omegas and essential fatty acids. Exotic blend of Essential oils include Jasmine, Frangipani, Rose and Tuberose. If you want to know difference and understand Carrier and Essential Oils, click here. Packaging is impeccable. The oil with no pipette….breath of fresh air. Packaged in an air tight bottle with a pump, basically like a serum! This truly wins my heart in terms of packaging. Texture & Consistency is what you’d expect from an oil. Pale yellow coloured oil, slightly denser than an average oil but absorbs very nicely in skin. Scent wise I absolutely adore this product. I can instantly get a hit of jasmine on application and it immediately relaxes me. If you aren’t into florals, steer clear. I absolutely dig this oil for its scent. Unapologetically, the scent makes this my repurchase factor. In terms of Application it’s a no brainer. One pump and press over all over face and neck. The pump dispenses exact amount needed for face and neck. It instantly absorbs in skin (caveat: prior layers of skincare have settled well in skin). Some days, I follow this straight after an acid tone or an exfoliating tone and I can see my skin just laps this up in matter of seconds. I think absolutely any skin type would love this. Dry, mature, acne prone, congested, oily, combination, dull, lack lustre, dehydrated, and the blessed normal skins. – Repairs and neutralises daily environmental damage – I don’t know how to assess that effect on skin! – Lifts, firms and plumps – certainly plumps and firms my skin. Thankfully I’m not at a stage where I need a lift (yet*). – Boosts collagen production – again not at a stage where I’ve noticed loss of collagen therefore needing a boost. – Smoothes lines and uneven texture – certainly has helped my skin with uneven texture. Not so much with stubborn (genetic or race originated) pigmentation (which obvs needs proper serums). – Rejuvenates the skin leaving it radiant, brighter and with a more even skin tone – Yes, Yes and Yes. – Refines the look of the skin – Yes, indeed it does. – Calms stressed, irritated skin – I think most oils (good blend, properly sourced, quality oils) would calm irritated skin, but what makes this missy unique is blend of antioxidants, vitamins and peptides. Considering it’s a British brand and available from limited sources in USA, I’ve included price sources for both currencies GBP £46.00 or USD $66 (from FeelUnique.com – ships worldwide) or USD $90 (Space NK).